One of the main aim of the BRC is the preparation of new drugs and molecules which can be used for diagnostics of selected diseases. This rational process takes advantage of the design using modern in silico methods and proposed compounds are then prepared by the chemical synthesis. Then, the biological activity of these compounds is characterized by in vitro experiments and a cytotoxicity is assessed. In the next stage, analytical methods establish pharmacokinetic parameters of the new substance and its effectiveness is verified in an in vivo model as well as its toxicological parameters. This process serve for identification of the most suitable candidates -drug candidates- which are then recommended for preclinical testing or offered to the commercial partners. 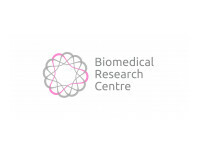 Currently BRC focuses on several groups of drugs- for the treatment of the Alzheimer's disease and Myasthenia gravis. Furthermore, new disinfectant agents and organophosporus pesticides poisoning antidotes are produced. Due to the versatility of the various stages of the development process, the applicability for the development of other types of drugs is made possible. The second aim of the BRC is also to develop a diagnostic methods. This is the task of the Proteomic group that works closely with both clinical and interdisciplinary workplace in the University hospital. Using modern proteomic technologies, they study both qualitative and quantitative changes which occur during various pathological phenomena at the protein level. New protein biomarkers that allow early detection of disease are sought. Furthermore, evaluation of drug effects at the protein level are performed to better understand the mechanism of action and identify patients who can benefit from the pharmacotherapy. BRC is also in charge of supervising pregraduate and postgraduate students and strives to introduce new approaches and methodologies in hospital, national and international projects.